A simmering pot of human hopes and disappointments in a rural Greek village, Zorba The Greek boasts a larger than life Anthony Quinn performance and an evocative Mikis Theodorakis score. The seemingly small story, based on the 1952 novel by Nikos Kazantzakis, is about four different people unexpectedly connected through circumstance, but it succeeds in reflecting wide-ranging emotions about the eternal human experience. Upon the death of his father, Basil (Alan Bates), a reserved English writer with some Greek lineage, decides to relocate to a Greek village on the island of Crete to reactivate a long dormant mine that has been in the family for generations. Before setting sail from mainland Greece to Crete, Basil meets Zorba (Quinn), a gregarious and gruff Greek man with a love for life as a grand adventure. Zorba sells himself as an expert miner, and Basil agrees to take him along to help restart mining operations. 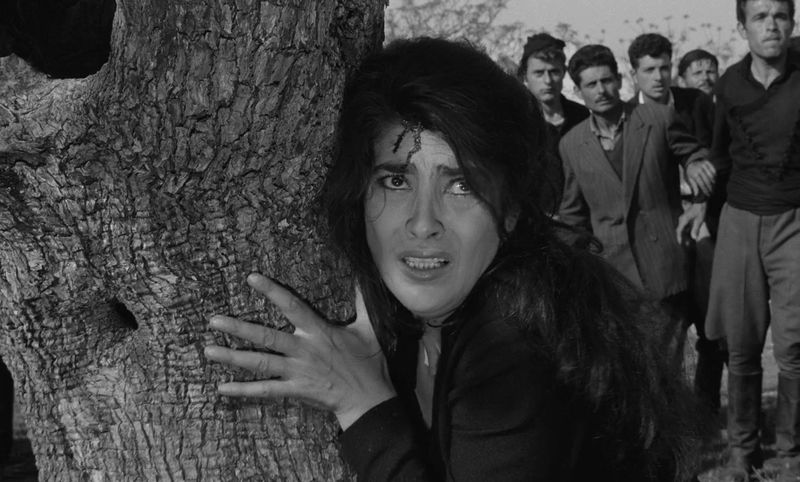 At the remote village, hotel keeper Madame Hortense (Lila Kedrova) lives a melancholy life lamenting her many previous loves, while the mysterious Widow (Irene Papas) appears hypnotic but draws threatening stares from other villages. Due to the rotten wood supporting the tunnels, Basil and Zorba quickly run into trouble trying to reactivate the old mine, and Zorba identifies the need to cut down a large forest of trees from a nearby mountainside to gain a fresh supply of timber. As Madame Hortense dares to imagine an idyllic future with Zorba, Basil finds the courage to make an advance on the Widow, but both relationships head towards unintended resolutions, while Zorba's ambitious plans to secure the timber supply hit a series of unexpected obstacles. 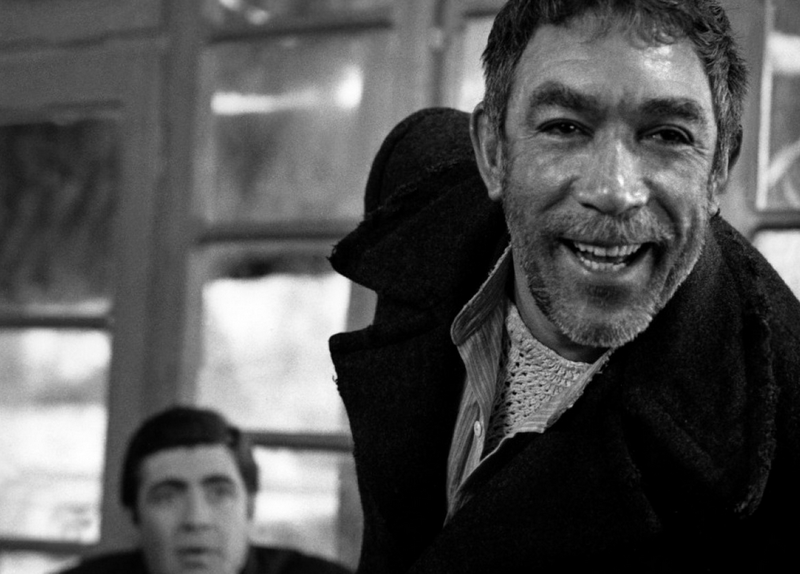 As much about individuals as it is about life, Zorba The Greek captures the essence of what it means to be alive. Inspired by actual miner George Zorbas who befriended Kazantzakis in the early 1900s, Zorba is clear about his approach: life is for living with a loud laugh, women are for loving with passion, resources are for exploiting, and if it all goes wrong, well, the journey is always much more important than the destination. He picks up the pieces and goes again. Quinn was born to play the role, and he fills the screen with the magnanimous persona of a resourceful man with endless passion to share. If not exactly Zorba's antithesis, Basil is more careful, circumspect and cautious. Brave enough to relocate his life, to accept Zorba into his adventure, and ultimately to explore a relationship with the Widow, Basil is no wallflower. But he lives his life more quietly, more thoughtfully and with attempts at deliberate planning. Alan Bates gives Basil the necessary grounding in the face of Zorba's force of nature, as Basil represses frustration with the curiosity of a writer sensing opportunity in the unexpected chaos unleashed on his previously staid life. Cypriot director Michael Cacoyannis, who also wrote the script and produced the movie, shepherds events along at a relaxed pace, allowing the characters to come to life through extended scenes that celebrate individual characteristics and all of life's rewards and surprises. The pacing is perfectly suited to the languid yet bright Theodorakis score, and allows the movie to breathe deeply from the rural air of the Greek countryside, Cacoyannis making the strange if not familiar then more understandable by the end of the luxurious 140 minutes of screen time. Zorba The Greek does include a couple of difficult if not outright disturbing scenes, both involving the women in the lives of Basil and Zorba. The setting may be sometime in the early 1900s (this is never clarified in the movie), but the cold brutality that rural society is capable of is chilling in any context, and a reminder that civilization is not far removed from medieval roots. 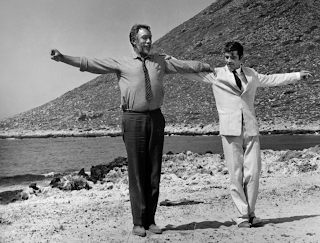 That ultimately Basil and Zorba meet remarkably similar fates, both in romance and economic prospects, is no mistake. The movie ends with the spine-tingling "teach me to dance" sequence, the two men alone but together on the beach deep in the Greek countryside, realizing that although life's dance can be learned along many different paths, sometimes the destination is the same, no matter what route is chosen.